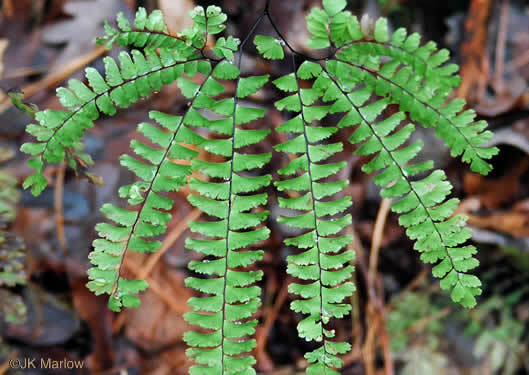 Blades borne on slender erect branched stipes [here resembling small trees], per Peterson Field Guide to Ferns of Northeastern and Central North America. 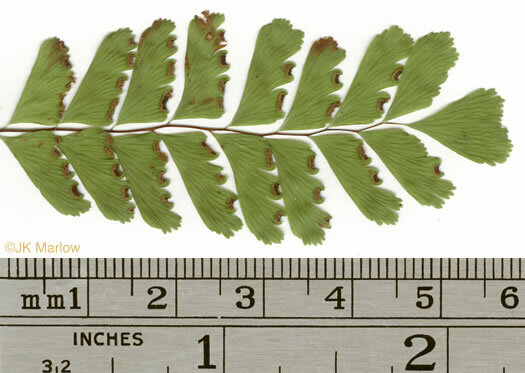 Pinnules entire on the lower margin, lobed on the upper, petiolate, per Vascular Flora of the Carolinas. 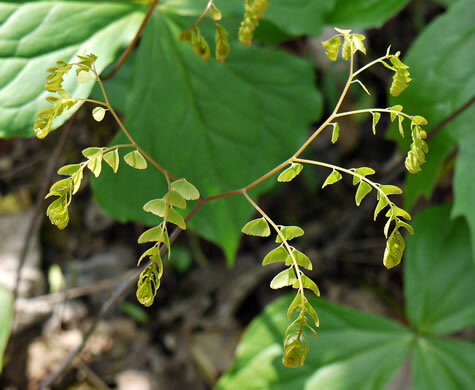 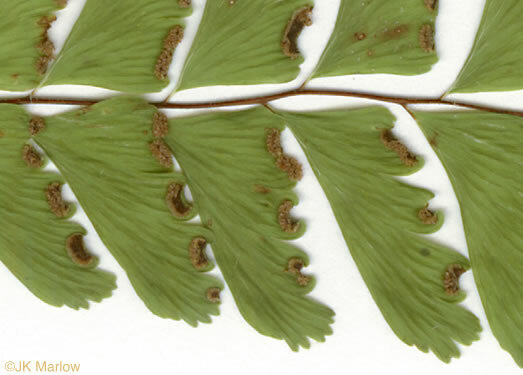 Sporangia are clustered under scalloped outer edges of many leaflets, per Ferns of the Smokies. 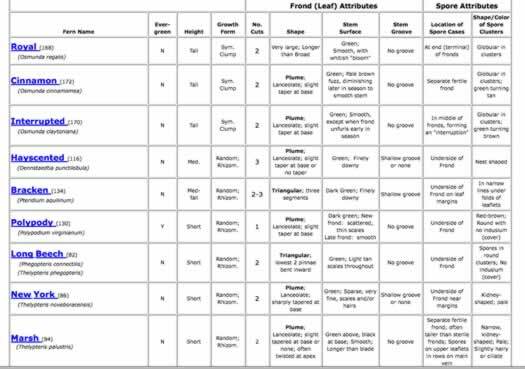 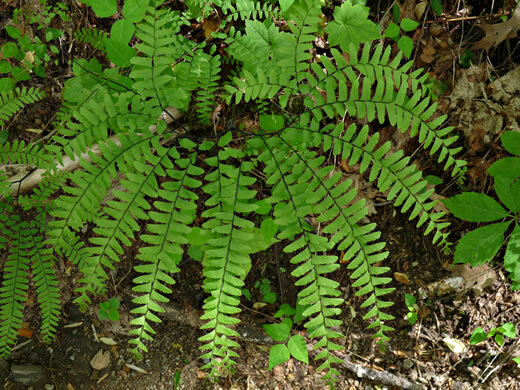 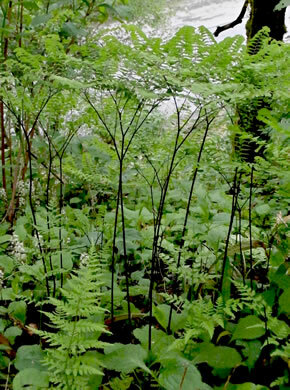 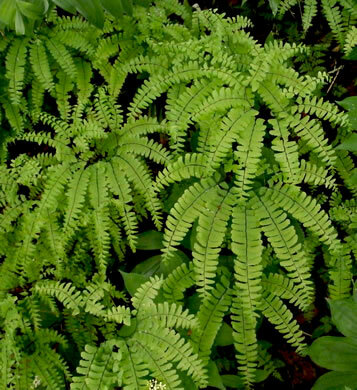 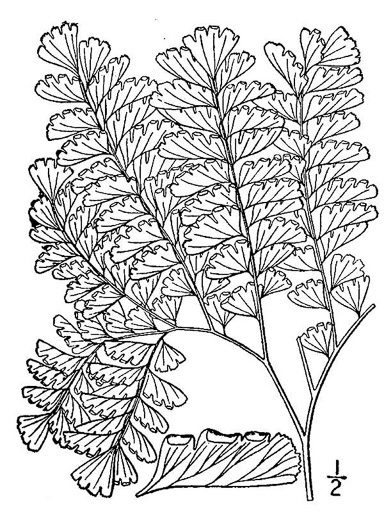 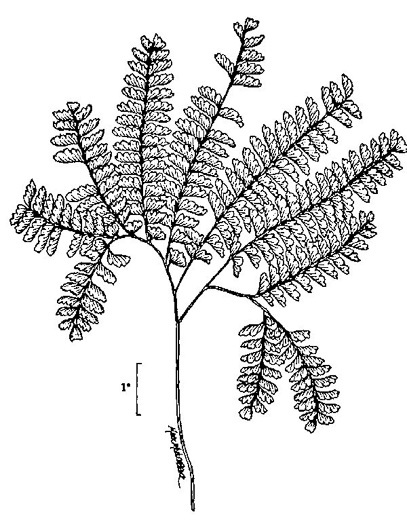 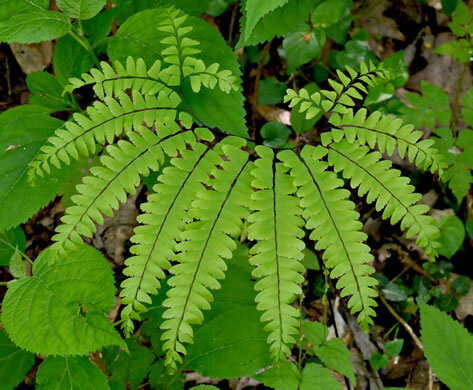 Rachis divides into 2 branches to form a semicircular, fan-shaped blade, per Peterson Field Guide to Ferns of Northeastern and Central North America.